If you’re putting together a spring floral arrangement, or looking to buy a spring bouquet for someone special, consider tulips. Tulips are popular flowers that have come to symbolize spring and the new life that comes along with the season. They’re gorgeous flowers that are available in many colors, and they’re ideal for modern or traditional bouquet and arrangements. The following is a bit of information about the beautiful tulip. Enjoy reading about this stunning bloom and have fun giving the gift of the tulip to yourself or someone else. Tulips became popular during the 17th century, mostly in Europe (in particular in Holland), when a craze for the flower lead many folks to sell off their entire fortunes to obtain the bloom that was such in demand. The occurrence was known as the Tulipmania. Tulips are some of the most popular flowers for spring, of all time. They’re the third most popular flower in the world, in fact, with only the rose and the chrysanthemum coming before it. You’ll find tulips in a variety of beautiful gem-like colors and in many sizes. Some are fragrant and all of them bloom on large-leafed plants, offering a glorious 6-petaled show amidst stunning greenery. There are more than 100 species of tulips in the world, all of them coming out of Central Asia originally, where they grew in the wild. Some of the earliest documentation of tulips show that the flowers were first cultivated in 1,000 A.D., in Turkey. Each year, billions of tulips are cultivated around the world. A majority of them are grown in, and exported from, Holland. There are more than 3,000 registered varietals of cultivated tulips. 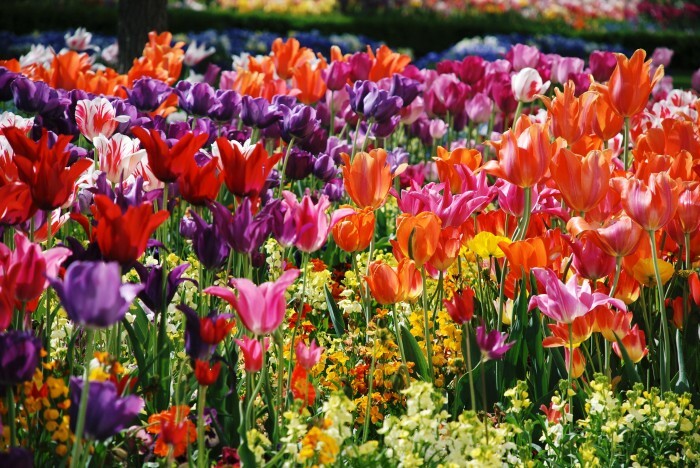 Turks of the Ottoman Empire were the first to cultivate tulips. Tulips grow abundantly in the wild in Asia minor, with many of them found in lands from Siberia to China. Over the years, tulips have symbolized love, imagination, inspiration, and devotion. Enjoy bringing tulips into your home (or giving them to another) this spring and enjoy the beauty of this new season!